Bet Tyreke Evans at +600 with 888Sport. Bet Jaylen Brown at +1500 with 888Sport. Bet Dennis Schroder at +550 with 888Sport. We may be entering a new era of Sixth Man of the Year award winners. Both Jamal Crawford and Lou Williams have won twice each in the last five seasons, with Eric Gordon’s 2017 season the other winner. The best sixth men are the ones who otherwise would be starting but find themselves on too talented a roster. That’s Schroder, who wasn’t part of a rebuilding Hawks team and wound up in Oklahoma City after the Thunder dumped Carmelo Anthony. He’s firmly behind Russell Westbrook – who admittedly is a usage and minutes monster – but this is a point guard who last year averaged 19.4 points and 6.2 assists. Only seven players did that last year, and the other six (Harden, LeBron, Lillard, Westbrook, Curry, Wall) were All-Stars. Schroder now enters a Thunder team that was 29th in bench scoring last season; part of that is how good their starting lineup is, but part of it is that is their lack of scoring punch. Schroder is able to score in a variety of ways and is an apt passer. That’ll play in Sixth Man of the Year voting. If Schroder gets enough minutes – and he should be able to play alongside Westbrook at times – he’ll be in contention all year. His +550 odds on 888Sport are a solid play. 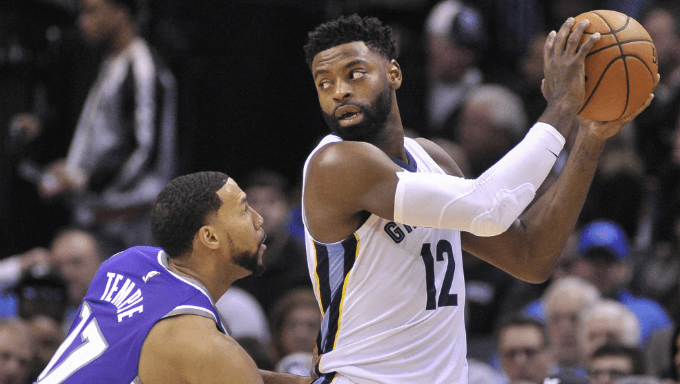 Injuries limited him to 52 games – and that was the most he’s played in three seasons – but Evans was spectacular for a tanking Grizzlies team last year. He averaged 19.4 points, 5.1 rebounds and 5.2 assists (others in the 19-5-5 club were Harden, LeBron, Durant, Westbrook, Curry, Griffin and Cousins). His impressive play wound up pushing him into the starting lineup and out of any conversation for Sixth Man of the Year. That’s fine by him, because he earned a massive payday out of it with the Pacers. He’ll play behind Victor Oladipo on a Pacers bench that ranked 22nd in points per game last season. If Evans can come even close to his shooting averages from a year ago (45.2% from the field, 39.9% from deep) it’ll produce another successful season. And now he gets to play in the much easier Eastern Conference for the first time in his career. We really like his +600 odds on 888Sport. Jaylen Brown started all 70 games he appeared in last season, asked to take on a much larger role in the wake of Gordon Hayward’s opening night injury. He was good in the regular season, and great in the postseason. He averaged 18.0 points on 46 percent shooting (the last players 21 or under to do that were teammate Jayson Tatum, Anthony Davis, Derrick Rose, Russell Westbrook, Luol Deng and LeBron James). But he’ll move back to the bench this season behind Hayward and Tatum. It’s a good time to be a Celtics fan, because both Brown and fellow bench mate Terry Rozier are more than capable of taking over a game. We like Brown to do just that on the wing. He should be the leading scorer on the second unit, and that matters greatly in Sixth Man voting. It’s rare that players as young as Brown win the Sixth Man award, but he’s already a household name after last year’s showing. If he can stand out on a Celtics roster loaded with talent he’s got a real shot to win it, making his +1500 odds on 888Sport excellent value. Of course we have to mention the favorite. It’s not a question of whether Williams is capable of winning the award for a record-tying third time. He’s also the reigning champ, and at just 31 years old appears to be entering his prime. The issue is that the Clippers aren’t going to be very good, and they really can’t afford to bring Williams off the bench for any reason other than semantics. The other two shooting guards on the roster are second-round pick Sindarius Thornwell and rookie Jerome Robinson. Not exactly Michael Jordan and Jerry West. So while we do like his odds at +225 on 888Sport, we wonder if he’ll even be eligible for the award. Take caution when betting him. He’ll play starters minutes again like he did last year, but he might be in the lineup, too. A forward hasn’t won this award since Lamar Odom in 2011, and before that a forward hadn’t won since Corliss Williamson in 2002. So maybe we’re due? If we are, Chicago’s Bobby Portis could be a sneaky pick. He only averaged 22.0 minutes last season but did serious work in that time; his per-36 minute numbers were on par with Kevin Love and DeMarcus Cousins. He’s playing in the easier East, and maybe most importantly is on a contract year. There’s incentive here for him to come out firing, which is what he does best. It’s a longshot, but at +3400 on 888Sport you could do a lot worse.